Since 1949, the successful Italian family business Peg-Pérego has only focused on the development of products for children. Everyone contributes their specific skills and know-how in the success of a joint project. Safety, aesthetics and robustness are characteristic of every Peg-Pérego product. It is not only a brand but also a good name! "Made by Peg-Pérego" is more than just an advertising slogan. It is about high Italian quality. Technological innovations with safe materials and attention to detail. Manufactured with the greatest dedication. Peg-Pérego is known worldwide for its original ideas and thinks in terms of revolutionary but also sustainable. Peg-Pérego makes your life with your baby easier, more comfortable and more stylish. 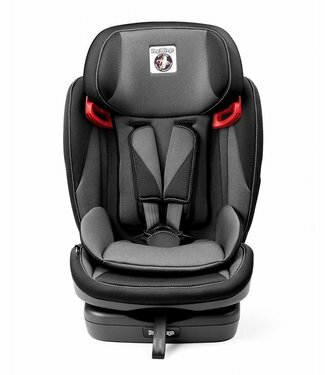 The Viaggio 1-2-3 Via is a car seat from the group 1-2-3 and..